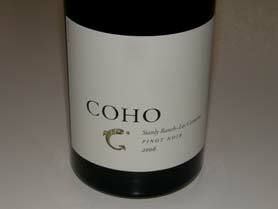 Coho is a partnership between Brooks Painter and Gary Lipp who together have almost fifty years experience working for California wineries. The logo embodies the Coho salmon which reflects the owner’s commitment to sustaining our habitats and species that share it. Founded in 2002, the 2006 and 2007 vintages were the first that I had sampled and I found the Pinot Noirs very likable and sensible priced. 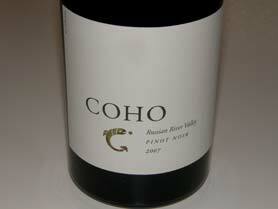 Look to wine resellers for availability. 707-258-2566.